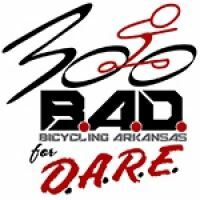 Start at Junction City, LA on the Arkansas/Louisiana border and ride through the Arkansas Delta into Missouri boothill and finish in Jonesboro AR for 3 days and 300 miles. This is Memorial Day weekend and is a fund raiser for the Jonesboro Police Dept. DARE program for drug prevention. This ride will begin and end in Jonesboro with a shuttle both ways. It is motorcycle police escorted at about 12 mph with multiple stops during the day.